What does the expression “up in the air” connote for you? According to the Oxford American dictionary, it means “still to be settled; unresolved.” If air suggests uncertainty and unsettledness, then its opposite, the ground, suggests, well, the idea of settledness or, quite literally, groundedness. 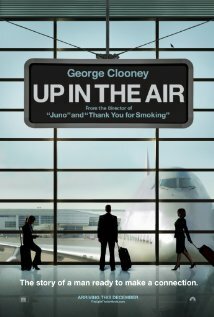 Up in the Air also refers to a movie that came out in 2009 starring George Clooney and Vera Farmiga. I watched this movie while preparing to defend my Master’s essay because it dealt with a space that I critiqued for its homogeneity and fleeting social interactions. With all the discussion by a number of urban theorists stating that airports represent the new public space of the 21st century with the potential for diversity, I pushed back a bit against this glowing report. Are airports really dynamic public spaces like the traditional public spaces of city squares, parks, and piazzas? For one, most airports are privately owned (or leased to private corporations who oversee its operation), and for two, the experience of being subjected to rigid check-in and security procedures while under constant surveillance seems a far cry from a free and democratic public space. I admit I took a liking to the film Up in the Air because it offered a pretty realistic commentary of our interactions in a globalized society, and also because it echoed the sentiments in my essay (ah yes, what a reassurance to know that Hollywood was backing me up!) Despite the seemingly public space of airports that bring diverse people from different spaces and time zones together, this social meeting of diversity tends to be rather illusory. At one point, someone says to George Clooney’s character (Ryan Bingham) over the phone: “You’re awfully isolated the way you live.” He responds, “Isolated? I’m surrounded” as he looks around his 21st century office – the airport. But he is isolated and looking for connection, as the end of the movie makes clear (warning, there may be some more spoilers – I probably should have stated this before I wrote the previous sentence, sorry). To relate it back to the title, the movie suggests that a perpetual lifestyle of literally living and working “up in the air” isn’t sustainable or desirable. There exists even in Ryan Bingham – the quintessentially casual, commitment-free modern businessman “living between the margins of his itineraries” – the desire for eventual grounding. Unfortunately, this grounding never occurs because he fails to operate by – or rather, keep the rules of temporary, casual airport relationships while the woman he’s interested in does (this is not meant to give her credit as by keeping these relationship rules, she compromises other ones, like the marital ones with her husband). Having flown back and forth multiple times between Vancouver and Ottawa during my university years, I’ve spent a considerable amount of time in airplanes and airports. Sure, I’ve had some good conversations with my armrest companions, but I haven’t kept in touch with any of these strangers. In fact, I barely remember them (apart from one woman I would later work with at City Hall, but those repeat meetings have been the exception). The connections I made were short, sweet, and most often, solely concentrated at the beginnings and ends of the flight – especially four-hour ones. George Clooney cleverly narrates a typical airport interaction in play-by-play format you can watch here. I’m not saying airport interactions can’t be meaningful because they’re short or because they’re with strangers (sometimes the best conversations are with people you know you’ll never run into or answer to again), but is this type of interaction really the future – or present – of a city’s public life? The portrayal of air culture in Up in the Air doesn’t offer much optimism in light of this potential reality. Given these portrayals of airports in recent fiction and film, do airports constitute the new public space of our time? Are they really that social? Maybe you have a cool connection story or maybe you don’t, but, in any case, I’d like to hear about your airport experience!